Abdullah while addressing a public gathering at Uri, near the Line of Control (LOC), said on Thursday that a day will come when the people of Jammu-Kashmir will breathe in a peaceful atmosphere shorn of any insecurity. “We shouldn’t feel disheartened. The current situation is grave but we have witnessed even worst throughout the history. At one time in our history, people would not buy the idea that the autocratic rule will end. But a day came when democratic forces usurped the Kings’s throne with determination and struggle,” he said. “In this hour of grief and uncertainty we should not let anxiety and hopelessness overpower us. We should follow the teaching of the prophet of Islam in our day to day lives. Hopelessness is a curse,” he said. 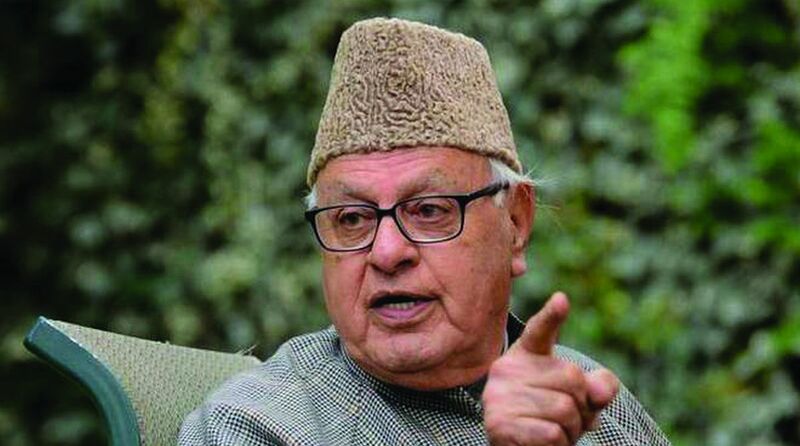 Farooq said that the state’s special status was infringed upon by the machinations of national political parties including Congress and BJP and that their attitude hasn’t changed. “The current situation is no different. People should remain watchful of crafty politicians who are product of these machinations. Self respect and dignity of our state should not be bartered for few pennies,” he said. He urged the Centre to restore autonomy to J-K at an earliest. “Autonomy is the only way ahead to address the political and developmental deficit of all the regions of Jammu and Kashmir. It will secure the secular character of our state and strengthen bonds of amity and brotherhood,” he said.